The General tab for a device gives the main information about the device. The Configuration tab lists the archived configurations of the device. 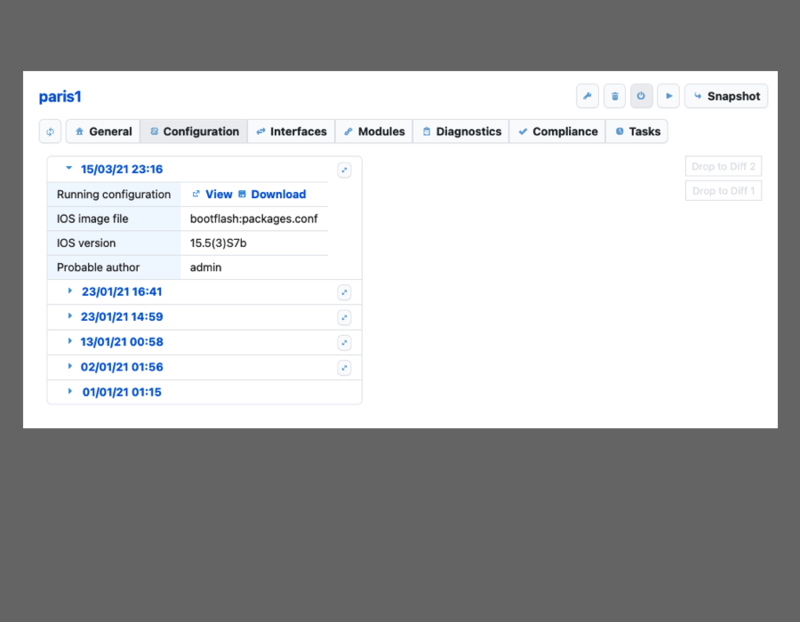 Quickly see the changes as differences between configurations. 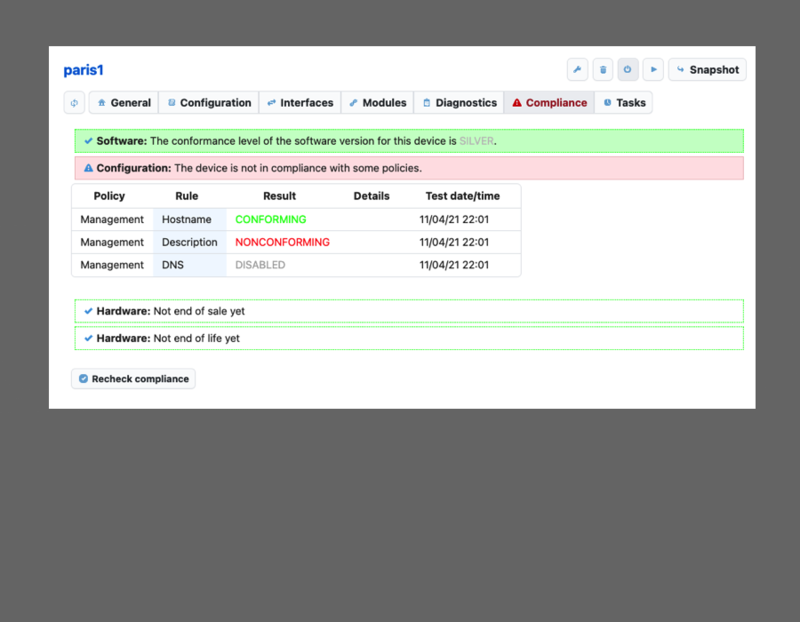 This is the compliance status of a device. This report summarizes the recent changes over the network. Consult our Blog for many text or video guides and examples about Netshot. 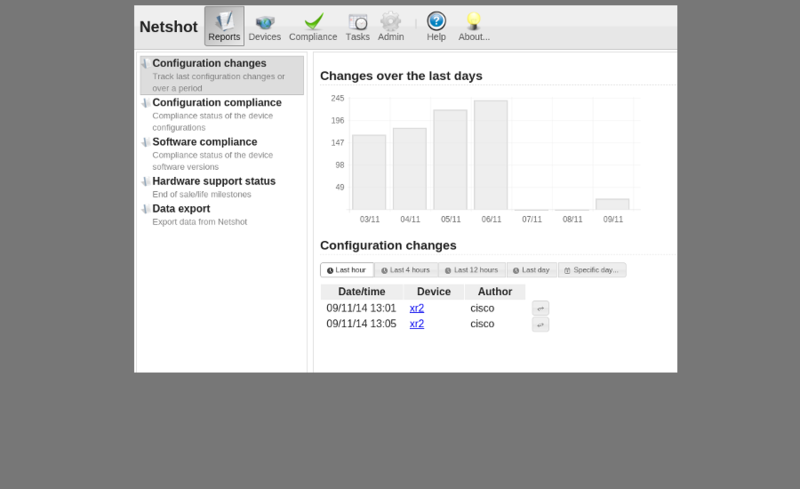 Netshot maintains an history of the configurations of your network devices. Keep an eye on the changes made anywhere on your network! Netshot is compatible with the most famous network devices (Cisco, Juniper, Alcatel Lucent, Fortinet, etc.) out of the box. 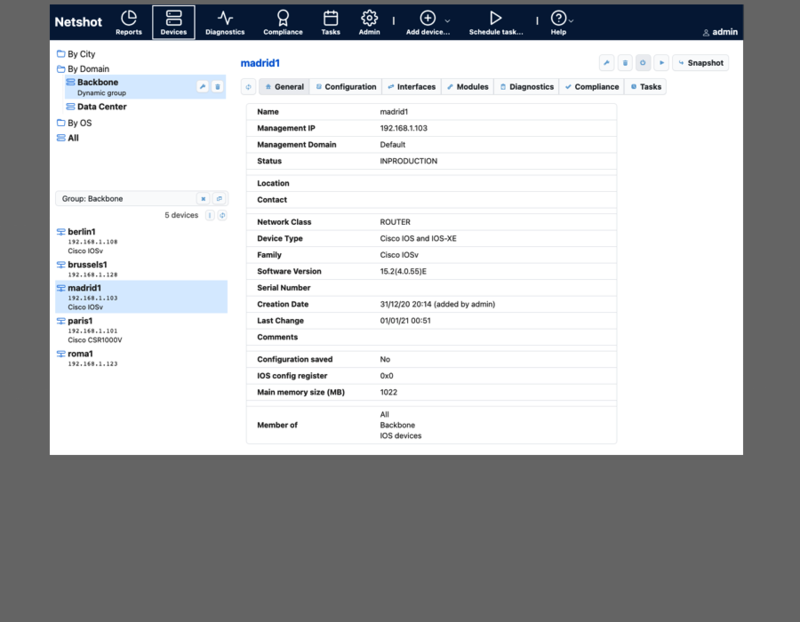 Netshot builds an inventory of the IP and MAC addresses of your network devices, along with the serial and part numbers of the hardware modules. Define your preferred versions and keep your software strategy under control. Any device not matching the standard versions will be flagged immediately. Define the End of Sale/Life dates and plan for the renewal of your hardware. 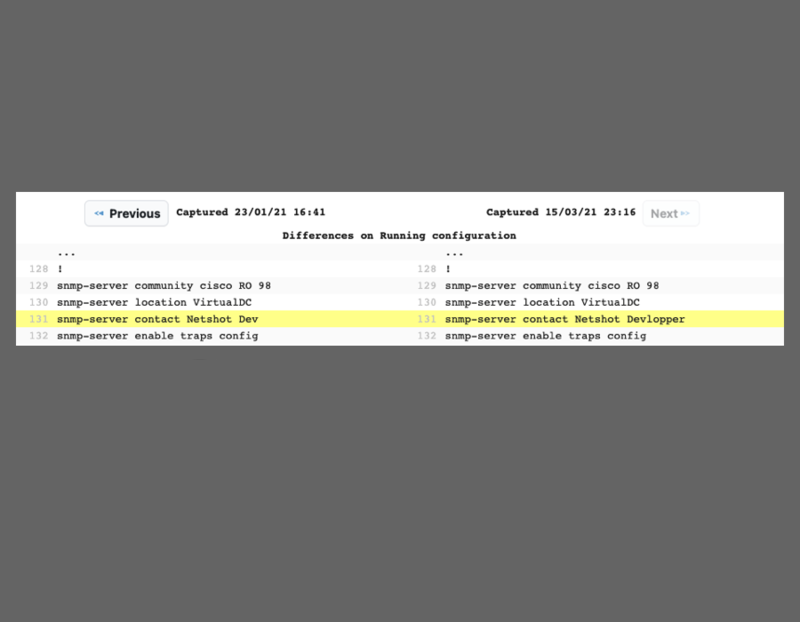 Define policies and rules to enforce configuration best pratices or your own standards. Support of new devices can be very easily added by writing driver script files. The REST API can be used to extend Netshot. You can use Netshot to push changes to your network devices. Netshot's users can be authenticated either locally or centrally (RADIUS). Netshot is made freely available by NetFishers. No restriction in usage, just download, install and use!